Place turkey in a large bowl and add all remaining ingredients except potato chips and cheddar cheese. Place in a greased 9×13 inch baking dish. 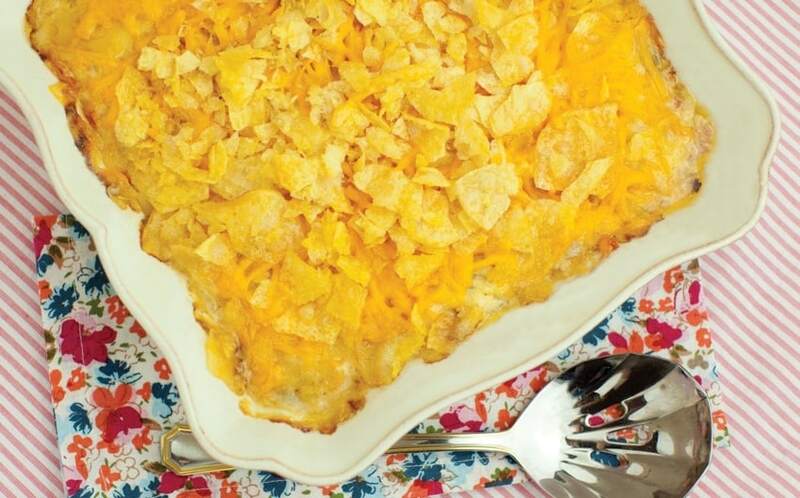 Top with potato chips and cheddar cheese. Cook for 30 minutes until warm and bubbly. *Great recipe for leftover holiday turkey!